An interesting quote from the new pope..
Pope Francis final pontiff?, Peter the Roman?, Jorge Mario Bergoglio Italian ancestry, Saint Malachy prophecy, Destruction of Rome and judgment of Christ? From WND March 13, 2013. II, who died in 1144.
with the destruction of Rome and the judgment of Christ. noting Bergoglio is the son of Italian parents and a Jesuit. book,” Horn told WND in an email. Vatican uses telescope called L.U.C.I.F.E.R! I agree. 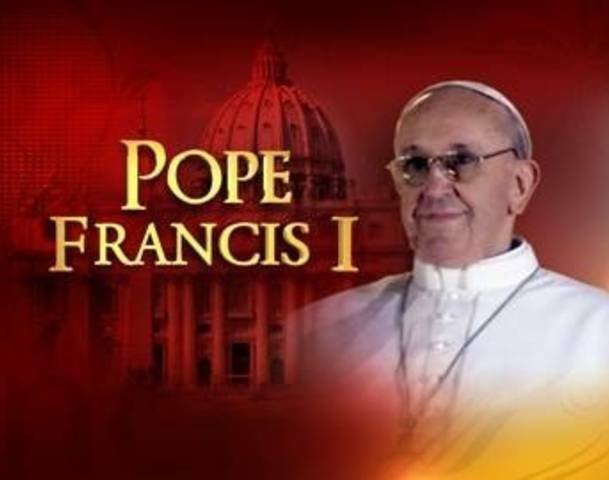 Pope Francis is Petrus Romanus and he is the last Pope. Do not rely on your carnal mind to judge the following words but do you research and search the truth with every desire you have left (everyone on earth lost their soul on 25 Dec. 2012 when Jesus Christ returned as the Just Judge). 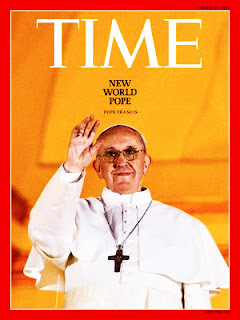 Antipope Francis is the False Prophet but Petrus Romanus is one of the Two Witnesses described in Revelation chapter 11 and He is the Last and final Pope of this Era. He is feeding His Flock during this Great Tribulation and although the world is going to and end as we have come to know it, the earth will continue on, in the Era of Peace. If you have an ear to hear then the Two Witnesses and Their Eternal Testimony will be the next piece on your spiritual climb to Heaven. Many of us have had the spiritual mark of the beast removed (almost everyone received in on 25 Dec. 2012 but is not to be confused with the "physical" mark, as that will seal your eternal fate). It would be wise to do what 1 John 4:1 instructs those who are called to be Saints,"Beloved, do not believe every spirit, but test the spirits to see whether they are of God; for many false prophets have gone out into the world."